This is an interesting read. If you are working with Spirit Energies in any way, it is always good to keep up on what everyone is doing. Check it out! I know there are a lot of people that would argue they are one and the same. Men especially use the phrase “I had a gut feeling” or a “gut reaction” and probably use those phrases from a combination of how they were raised (what their parents, and particularly their fathers, said) and feeling like the word ‘intuition’ is too feminine. Gut feelings are instantaneous insights that accurately reflect disharmony. However, they can be unconsciously distorted by past experiences with unresolved emotions related to one’s own life. It is therefore important to temper such input with compassion and higher wisdom and be willing to go deep within one’s self so as to clear old prejudices and stories collected from the past. I’m working on a chapter that will help parents understand why their child is so sensitive, or empathic. And it all boils down to the subtle bodies that reside in the aura (energy field around the physical body). During the normal process of unfoldment for mediumship, we learn how to open our subtle bodies, which opens a pathway, allowing the spirit to connect and commune with us. But many people who are hyper-empathic, such as our young psychic kids and young adults, already have their subtle bodies wide open all the time, not realizing it or knowing what to do about it. 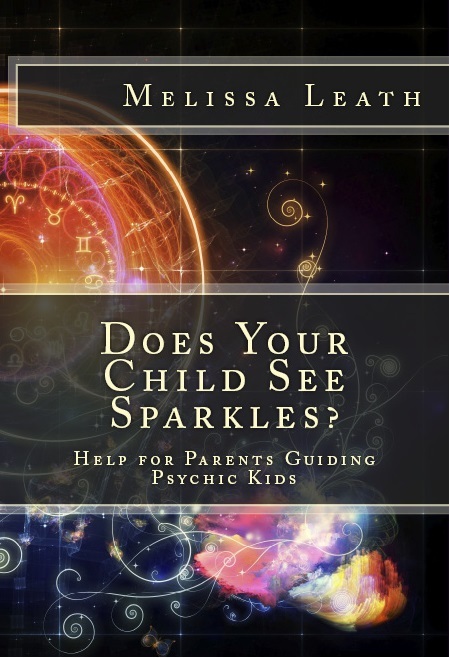 To understand why kids these days are hyper empathic and totally open to psychic phenomena, such as prophetic dreams, seeing or hearing spirits or ghosts, or knowing the future, I need to open the topic of subtle bodies. Also, an explanation of how spirit mediums can connect with the spirit world will be helpful. First of all, if your child is able to see spirits or hear them, or has healing hands, then more than likely, the child is highly empathic, too. Being empathic means to be hyper-sensitive to other’s energies: such as, feeling sick to your stomach while being around someone with an intestinal upset, or feeling a headache when their mother has a migraine. Other sensations can include excitability, unknown fears, anxiety while in a shopping mall or large department store, anger, over-zealous outbursts, etc. All these things are carried through the our energy fields (auras), and a highly empathic person can feel these emotions and sensations – usually not knowing that they really belong to another person. To understand what being empathic is, and learn to control it, will make a world of difference to you and the child. Then all the other gifts will be controlable too. In this world now, the energies are so intense in the universe, and the times are so ripe for transformation, that our kids are coming into the world ready to work. However, we parents, guardians, and teachers have to step up to be their instructors – to help them understand the most advantageous manner to use their gifts correctly. * All materials here are copyrighted by Melissa Leath 2013. All rights reserved. Please ask permission before sharing. This book will be finished and ready for sale sometime in March 2013 if all goes as scheduled [ ;o) ]. I’ll be adding posts as I go so you can follow along with the content. Until then, I would suggest you read my latest book Psychic Integrity, The Respected Practice of Modern Day Mystics. You can read more about Psychic Integrity at the official website HERE.